We’d love your help. Let us know what’s wrong with this preview of The Caviar Lady by Michele Marziani. 1940s Italy. Life is largely tranquil in a fishing village on the Po river not far from the city of Ferrara. The highlight is sturgeon season, which is when a genteel, elegantly dressed lady makes the journey from the city to buy caviar from the fishermen. Twelve year old Nello, the narrator, tells of goings-on in the community, friendships, first loves, school days and st 1940s Italy. Life is largely tranquil in a fishing village on the Po river not far from the city of Ferrara. The highlight is sturgeon season, which is when a genteel, elegantly dressed lady makes the journey from the city to buy caviar from the fishermen. Twelve year old Nello, the narrator, tells of goings-on in the community, friendships, first loves, school days and sturgeon fishing, and introduces us to the key figures in the story: the Turk with his mysterious past, and beautiful, enigmatic Bechi, as well as Nello's mother, his uncle the stationmaster and his best friend Nicola. Everything changes with the outbreak of World War Two and Nello's world is turned upside down, starting with the sudden disappearance of the caviar Lady. When the war is over, important secrets come to light and mysteries are solved, but peacetime spells the end of an era and a way of life - that of sturgeon fishing on the Po River. To ask other readers questions about The Caviar Lady, please sign up. 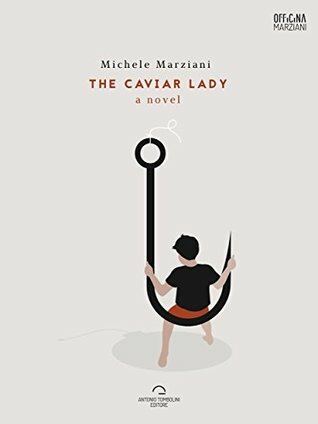 The Caviar Lady is an English translation of the Italian book 'La Signora del Caviale'. The book takes place in a quiet fishing village on the Po, near Ferrara where prized caviar is harvested from the sturgeon. It is a simply written story told through the eyes of an innocent, Nellino, who is 12 years old at the start of the book. With the outbreak of WWII, things change in the village, including the disappearance of the caviar lady. The war becomes part of everyday life and the growing disillu The Caviar Lady is an English translation of the Italian book 'La Signora del Caviale'. The book takes place in a quiet fishing village on the Po, near Ferrara where prized caviar is harvested from the sturgeon. It is a simply written story told through the eyes of an innocent, Nellino, who is 12 years old at the start of the book. With the outbreak of WWII, things change in the village, including the disappearance of the caviar lady. The war becomes part of everyday life and the growing disillusionment of the once optimistic young Nellino.